Love kittens? Love this! A purrfect diary full of cuddly fill-in bliss. 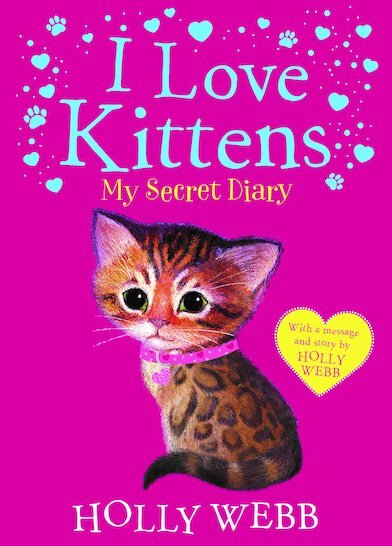 It’s even got a gorgeous Holly Webb kitten story inside – in full colour! Plus thousands more purrfectly lovely reasons to unlock it. Such as: a calendar for your big dates. Kitty care tips. Party game ideas, puzzles, quizzes, crafts and makes. There are fill-in pages to complete with your own kitten wishes, and a handy padlock to keep your secrets safe.